Andrew Adamson started his career as a computer animator. Blockbuster fantasy Shrek set his career on a new path. A number of special effects artists have attempted to morph into movie directors, but Adamson, Gareth Edwards (Rogue One: A Star Wars Story) and Joe Johnston (Captain America: The First Avenger) are amongst the few to have successfully made the transition. Adamson began his screen career with Auckland computer animation company The Mouse that Roared. There he worked on advertisements and station logos, including a long-running commercial in which a Mintie lolly wrapped itself. Adamson recalls a Telecom ad in which a face turned into a telephone being voted “one of the worst 10 commercials of the year, which I was particularly proud of.” He was also creating graphics for station logos and programme openings, including many logos for newly launched channel TV3. After travelling to the United States for a conference, Adamson was hired by California company Pacific Data Images in 1991. Having made its reputation doing similar computer graphics to Adamson, PDI was now moving increasingly into visual effects. After working on his first PDI feature, ill-fated Robin Williams vehicle Toys, Adamson’s interest in working on longer stories grew. His timing was fine; ILM’s Jurassic Park (1993) and Pixar’s Toy Story (1995) had provided high profile proof of what computers could bring to both live action, and animation. Adamson showed his mettle in the highly competitive world of effects, rising to become a visual effects supervisor on two of the Batman sequels. PDI joined forces with new studio DreamWorks SKG in 1995. The new entity proved it was a worthy rival to Pixar with their blockbuster second feature Shrek (2001). Adamson co-directed, alongside American animator Vicky Jenson. This wised-up story of a kind but ugly ogre, a smartarse donkey and a princess, put a winning post-modern spin on the fairytale genre. "A lot of rules were broken,because I didn't know the rules," recalled Adamson. "It was the first movie I'd ever directed. I hadn't intended to do an animated movie. Didn't come from that Disney background or anything, so I really just did things out of instinct." Although Pixar’s film Monsters Inc was the bigger box-office performer that year, Shrek made history after taking away the first Academy Award given for an animated feature. Shrek’s four years in development saw it weathering multiple changes, including the death of original star Chris Farley. In 2008, Shrek was the only non-Disney film picked for an American Film Institute poll of the 10 best animated films. It also ranked second in a poll of the greatest family films by British broadcaster Channel 4. Adamson went to co-direct the sequel, this time joining the writing team as well. Shrek 2 broke multiple box office records, including for its Kiwi opening, and was 2004's highest grossing film internationally. It's many nominations included an Oscar nom for best animated picture, and one for the Palme d’Or, the top award at Cannes (alongside the first Shrek movie). Adamson served as an executive producer on further films in the franchise, and provided story input into Shrek the Third. In 2005 Adamson made his live-action debut, after helping write a script based on CS Lewis classic The Lion, The Witch and the Wardrobe. In Adamson’s opinion, the success of the Lord of the Rings trilogy helped the new movie get made. He argued in 2005 that Rings director Peter Jackson showed that “being faithful to a classic piece of English literature was commercially viable, and that gave people a little bit more faith in doing that again with this film, being true to an original source." The Lion, the Witch and the Wardrobe’s multi-national production included extensive shoots in and around Auckland, and the South Island. Internationally, it was the third highest grossing film of 2005; among many enthused reviews, San Francisco Chronicle critic Mick LaSalle praised Adamson’s work with the child actors, calling the result “a movie of intelligence and power, of beauty, universality and largeness of spirit”. 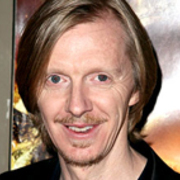 Adamson followed it in 2008 as director, co-writer and co-producer of battle-heavy sequel Prince Caspian. Again he made extensive use of Kiwi locations — notably Coromandel’s Cathedral Cove — despite early headlines that Walt Disney had decided to shoot entirely in England. Variety, The Los Angeles Times and Empire magazine all found Caspian both darker and stronger than the first Narnia film. Though Adamson decided that two episodes was enough, he stayed on to help produce third film The Voyage of the Dawn Treader. A fourth journey to Narnia is still set to follow. Adamson’s follow-up projects have taken him from circuses to the Pacific. After being won over by Lloyd Jones' novel Mister Pip on a flight from LA, he began chasing the film rights, quickly joining forces with old friend, producer Robin Scholes. Mr Pip is set during the 1990s civil war on Bougainville Island in Papua New Guinea, where Adamson lived as a teen. The book, he says, is about “the power of being able to use your imagination to overcome obstacles". Shot both on location and in New Zealand, the film was released in NZ in October 2013. Adamson was nominated for NZ Film awards for best film, director and screenplay; Mr Pip won four gongs, including best actor (Hugh Laurie) and actress (newcomer Xzannjah Matsi). In the same period Adamson directed and produced 3D movie Cirque du Soleil: Worlds Away, whose romantic storyline ties together highlights from a variety of Cirque du Soleil productions. Adamson has been also named as director for two book-to-film adaptations: a live-action movie based on the popular children's series Curious George, and Inherit The Earth, based on the Zombies vs Robots comic books. In 2006 Adamson was made a member of the New Zealand Order of Merit.